The techniques of clinical neurophysiology provide a non-invasive and inexpensive means of assessing brain function. The EEG and evoked potentials respond rapidly to changes in cerebral physiology and are therefore a useful means of monitoring cerebral function during surgery and in the postoperative period. The EEG is normally interpreted according to the following criteria. • Frequency of the background rhythm. For convenience, the rhythm is classified into one of the following frequency bands: 8 1-4 Hz, 0 4-7 Hz, a 8-13 Hz and p <13 Hz. Figure 5.1 The international 10: 20 system of electrode placement. • Amplitude of the EEG. 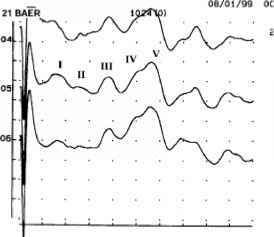 Most normal EEG activity is between 20 and 200 |V. • Paroxysmal activity. This refers to any bursts of transient activity. EEG from a normal awake adult. 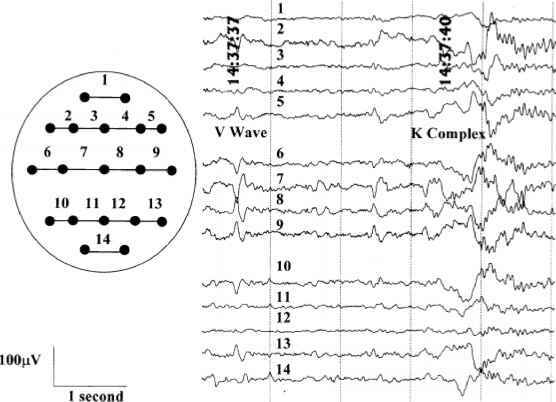 The EEG is dominated by an a rhythm (approximately 10Hz) located in the posterior quadrants-channels 4, 8, 12 and 16. Evoked potential waveforms are named according to whether they are positive (designated P) or negative (designated N) with reference to a reference zero voltage and according to the latency with which they are generated after application of the sensory stimulus (normally indicated by a subscript). For example, the positive waveform seen approximately 100ms after application of the visual stimulus in VEP testing is called the P100. 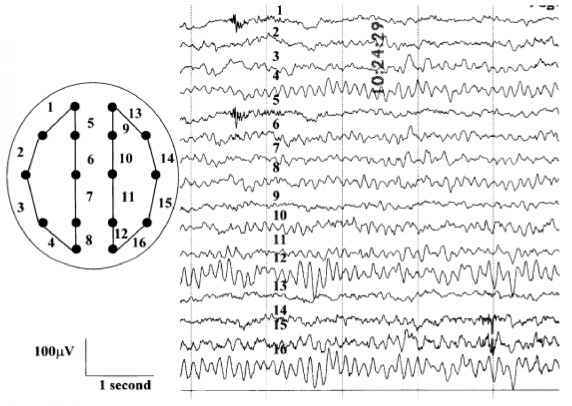 EEG from a normal six-year-old. As in the adult, there is an a rhythm located in the posterior quadrants. However, there is also underlying 0 and 8 activity in the frontal and central regions. 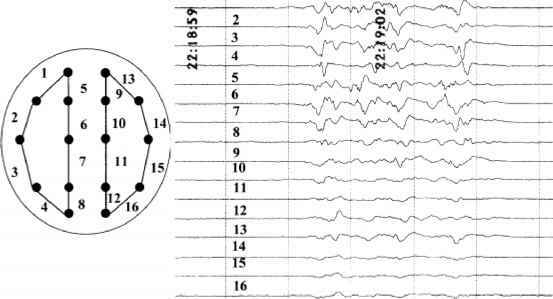 The routine EEG results in a large amount of data requiring specialist interpretation. 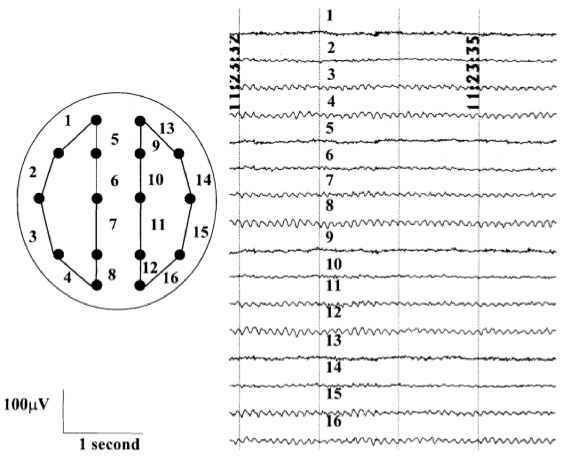 To facilitate the continuous EEG monitoring, a number of techniques have been developed to simplify and summarize the data. The most commonly used methods are based on analysis of the frequency of the EEG signal over time or amplitude over time. An example of the SEP (following left median nerve stimulation) recorded from left Erb's point (B) and right central region (A). Components generated by the brachial plexus (N9), spinal cord (N13) and cerebral cortex (N20, P22 and N30) can be clearly seen with left median nerve stimulation. Nitrous oxide can produce characteristic fast (34Hz) oscillatory activity in humans. It can also reduce the amplitude of auditory and visual evoked potentials without affecting the latency. Halothane produces a progressive slowing of the EEG frequency. It also decreases SEP amplitude in a dosedependent fashion. It also increases VEP latency and reduces amplitude. 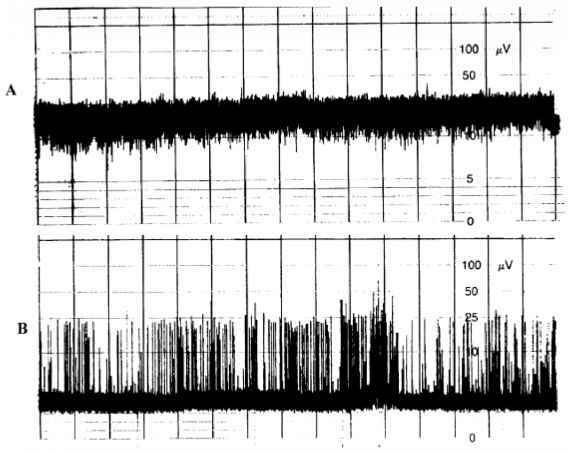 Figure 5.6 BAEP recording showing waves I-V.
Enflurane causes progressive slowing of the EEG and eventual burst suppression. It can also reduce SEP amplitude with slight effects on latency. CFM tracing. The EEG data from a single channel is summarized as a tracing which is dependent on the frequency and amplitude of the EEG signal. The top tracing (A) was obtained from a patient post-head injury. 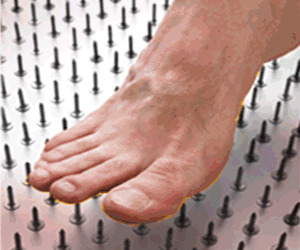 The bottom tracing was obtained in the same patient after barbiturate established burst suppression. 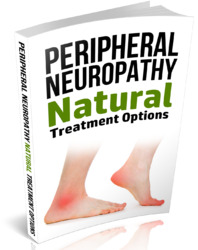 How To Monitor The Central Nervous System?